11.9 x 7.9 x 7.5 cm. A large and superb specimen from Peru, out of the collection of Ed David. 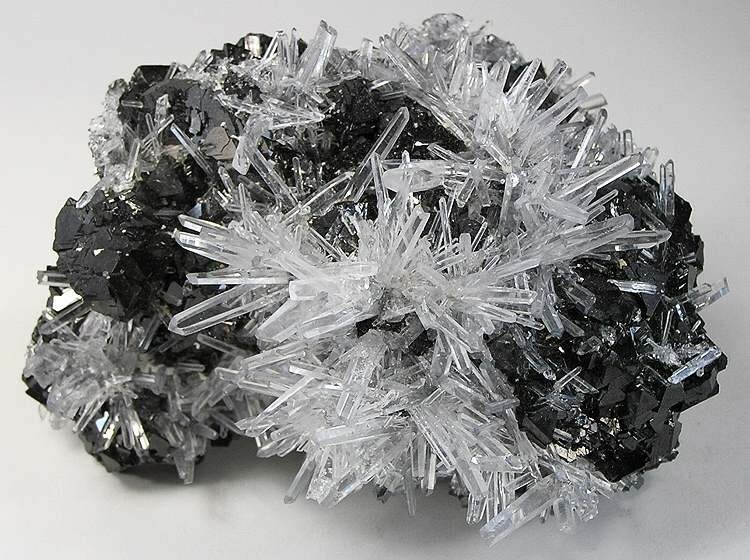 Here you have a hill of beautifully crystallized sphalerite, with bursts of slender, transparent, elegant quartz crystals shooting out all over.